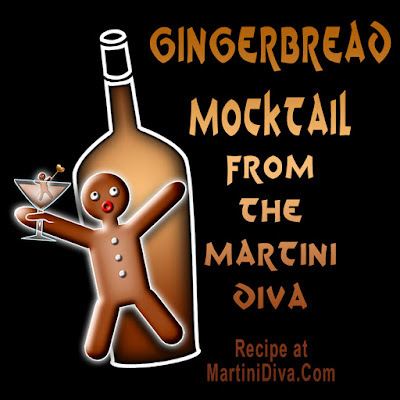 This GINGERBREAD MARTINI is in my top two personal favorite Holiday martinis (you'll note it's on a Christmas Recipe Card Design) and it's up in my top ten favorite martinis of all time. Why? Because it was inspired by my very favorite cookie in the world, my Mom's Gingersnap Cookies. If you want you can add a dollop of whipped cream on top, float your little gingerbread cookie on that and then sprinkle on your spices.